There are several websites that enable the self-promotion of student athletes, but there is nothing analogous for an individual who has a passion in STEM. We call these people STEMletes, a play on the word athlete. 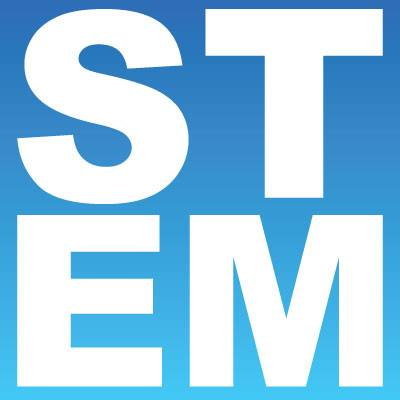 STEMlete is an online community for people who are passionate and brilliant in Science, Technology, Engineering, and Math (STEM) to make themselves known. STEMlete offers a free set of capabilities to enable STEMletes to globally connect, communicate, collaborate, and create. STEMlete is a STEM-focused community across different disciplines, countries, academic and professional levels, and languages. Who is STEMlete for? Who uses it? Our primary market is public/private middle and high school students. Our secondary market is college and university students. Additional markets include educators, corporations, associations, consultancies, staffing firms, governments, market research firms, venture capital/private equity firms, journals and media. The inherent value of STEMlete comes from the fact that it is forming a global STEM community that does not exist today. STEMlete will provide highly fragmented industries in desperate need for talent global access to passionate and brilliant STEM-focused people. STEMlete is very unique. We have done extensive research to identify a valid competitor to STEMlete and have concluded that there are currently no comprehensive websites or communities for the entire STEM community nor are there any that invite all levels of people (students, educators, and professionals) passionate and brilliant in STEM to join. The demand for STEM education is globally increasing. STEMlete is building a global community across 195 countries, 275 STEM areas, 8 academic/professional levels, and 64 languages to change the focus of society. Providing a platform for the most passionate and brilliant people in STEM to connect, communicate, collaborate, and create, STEMlete is helping identify the most promising talent and enabling innovation to better humankind and the environment. Peter has over 23 years of combined professional federal/commercial consulting and active-duty military experience. He is well-rounded in understanding the intricate relationships between program management and systems engineering on large complex technology programs and setting them up for success. He is an expert in risk management and excels at business development. He has proven experience building high performing teams. Mario has over 10 years of professional consulting experience. He is an expert in systems integration and a strong software developer and systems engineer. Dr. Polena has 30 years of professional software development experience. He is a very strong computer scientist with solid expertise in architecture, data mining algorithm development, and mobile computing. He is adept at leading international software development efforts. Christine is passionate about marketing exceptional products and services. Christine is responsible for all aspects of marketing STEMlete including forming and enacting multi-channel marketing plans, community management, and product development. We officially launched STEMlete to the public at the end of April and are focused on growing the user community. We currently have over 350 registered STEMletes from over 30 countries. To grow, we are doing grassroots and social media outreach to our primary and secondary target markets. We are also meeting with associations and schools in the national capitol region to promote STEMlete.